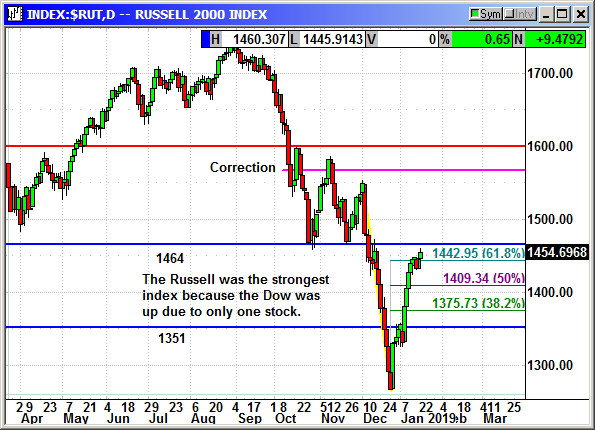 The Russell was actually the strongest index with a 9.5 point gain. The Dow gained 141 but 116 points of that gain was Goldman Sachs. 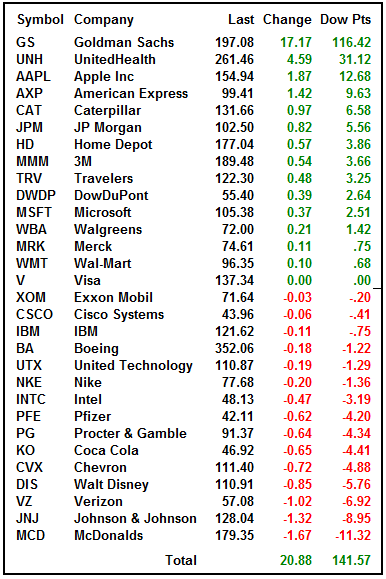 This is encouraging to see the small caps rally while the rest of the market was stagnant. Unfortunately, the futures are sinking tonight. 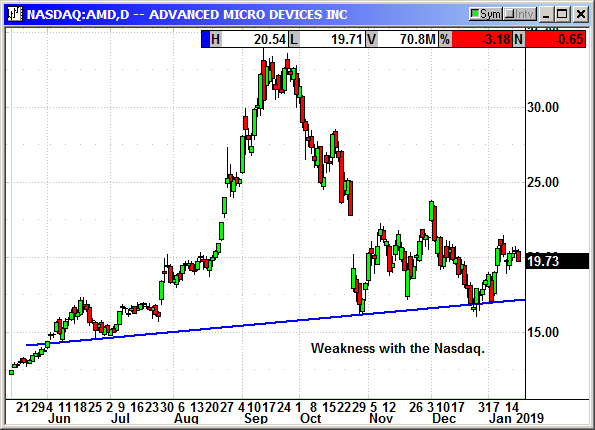 The chip sector was weak today and that weighed on AMD and the Nasdaq. No specific news. 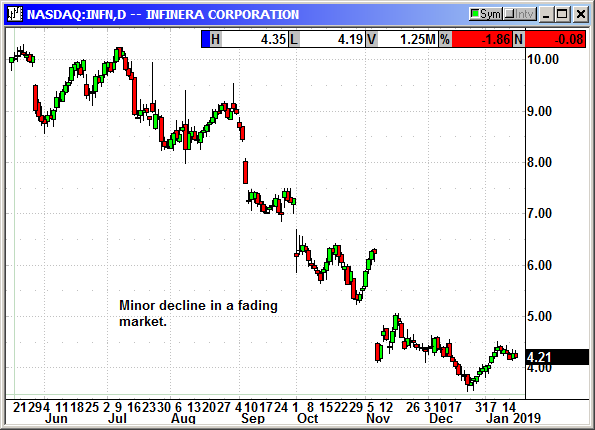 Shares faded with the market. No specific news. Shares stalled thanks to the stall in oil prices at $51. Original Trade Description: Dec 29th. 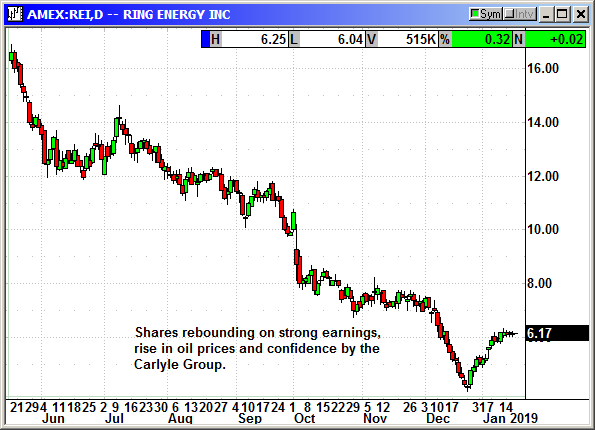 Long REI shares, currently $5.28, see portfolio graphic for stop loss. No specific news. 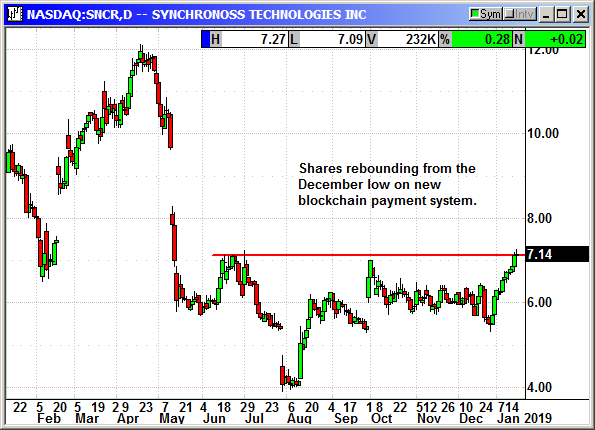 Breakout appears to be imminent. 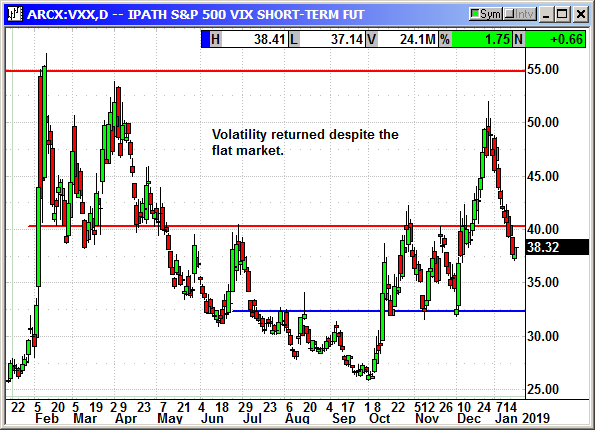 Volatility rebounded despite the flat market and big gain in the Dow. We just need the market to remain positive for another week without any major hiccups.